Actually, I’ve finished more than 2 things this week, but I can’t show you some of them until next week (I can’t wait!). 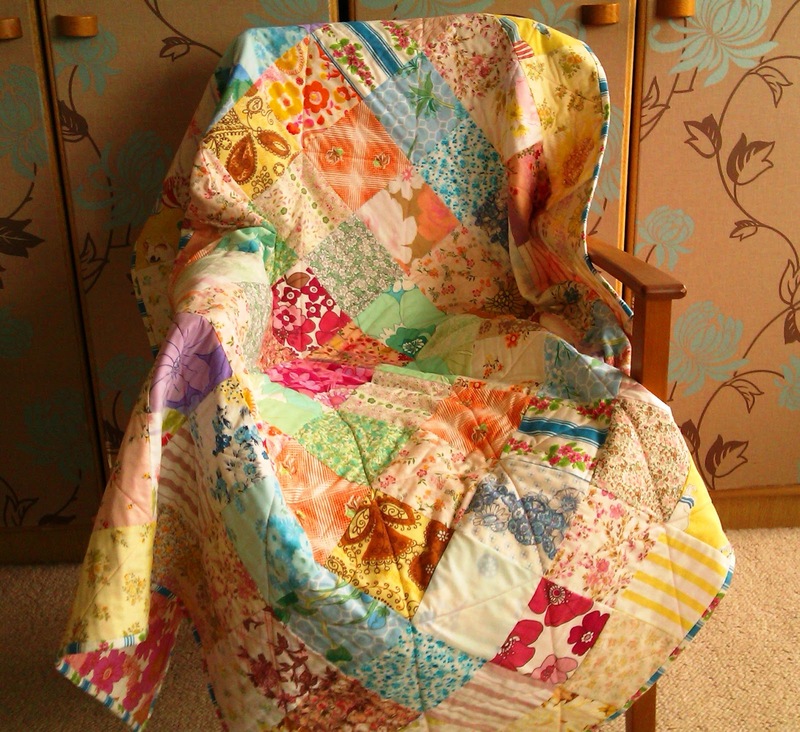 What I can show you today is my 2nd vintage sheets quilt, pieced, quilted, bound and labelled for my v.sweet niece in England. I’m ashamed to say I started this quilt in the summer, to give hope and comfort to my niece as she goes through a difficult time in her young life. 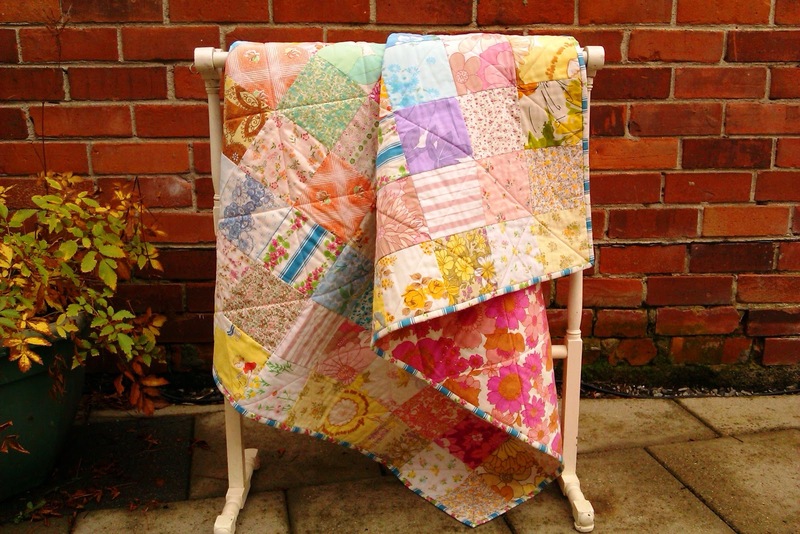 I’m so pleased with how this quilt has turned out, and I’m confident that this vintage/retro loving girl will love it as much as ‘The Belfast Hollies’ do! 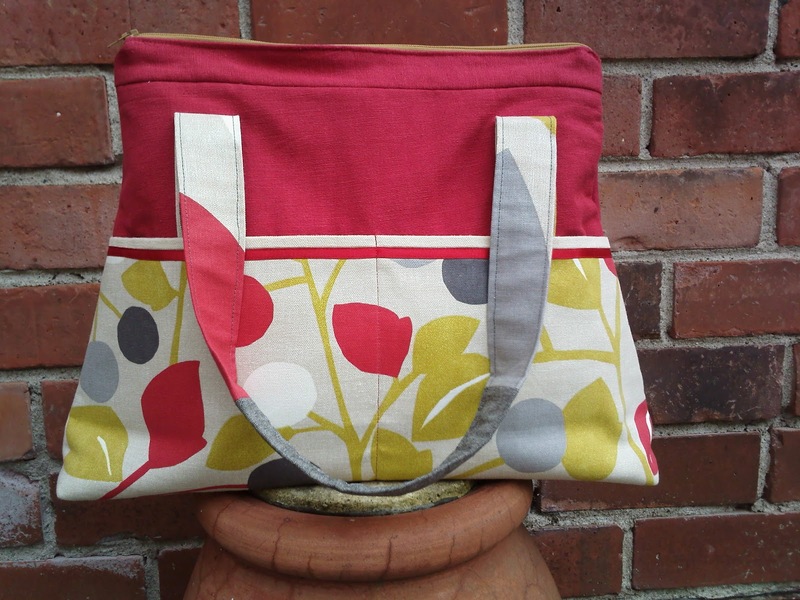 I’ve also managed to get another handbag pattern completed! Say hello to Martha May!! I name all my handbags after particular members of my family, and this one is named after my Nanny Martha. 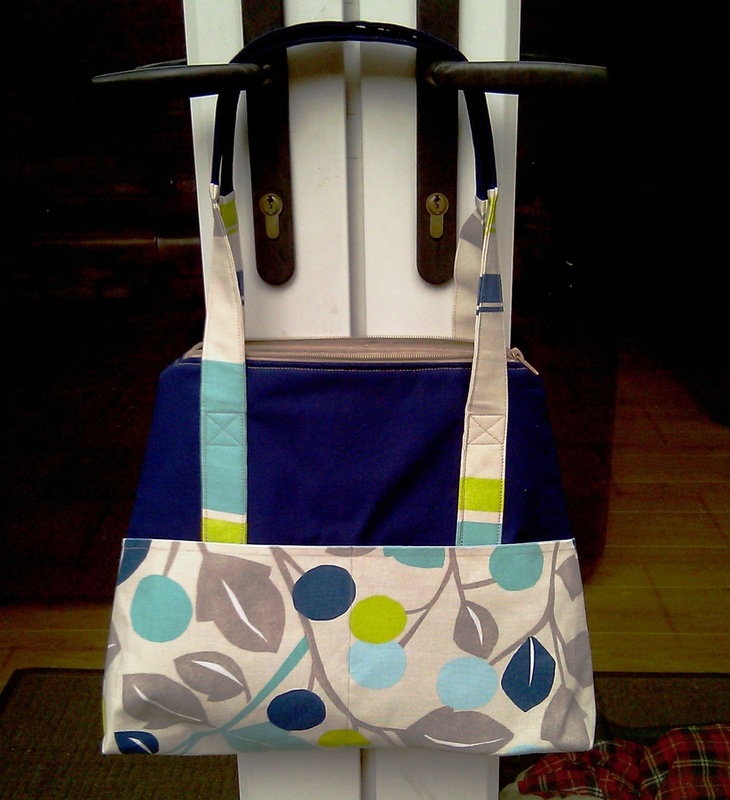 You may remember seeing another version of this bag as part of my 1 year blogiversary giveaway last December, which Nicky won! I had to make a few adjustments to the pattern to simplify one or two steps and although I’ve graded the pattern as ‘Intermediate’, if you consider yourself a beginner but have tackled a zip before, then you will more than cope with this pattern. 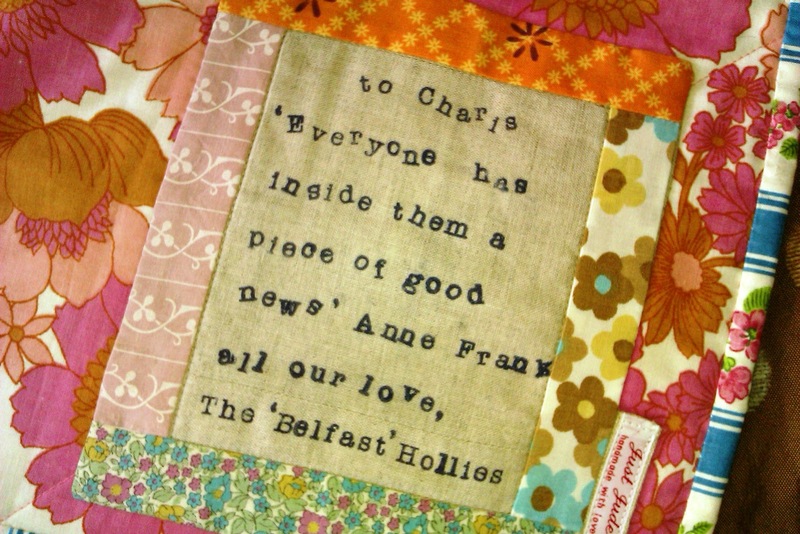 A huge ‘thank you’ goes to my friend Sarah, who was the perfect choice to test this pattern for me. Her attention to detail skills are impeccable! I’m sure she will soon show you her very own Martha May! The Pattern for Martha May is now available to purchase from my Etsy shop. Previous Previous post: A* Curtain Class!